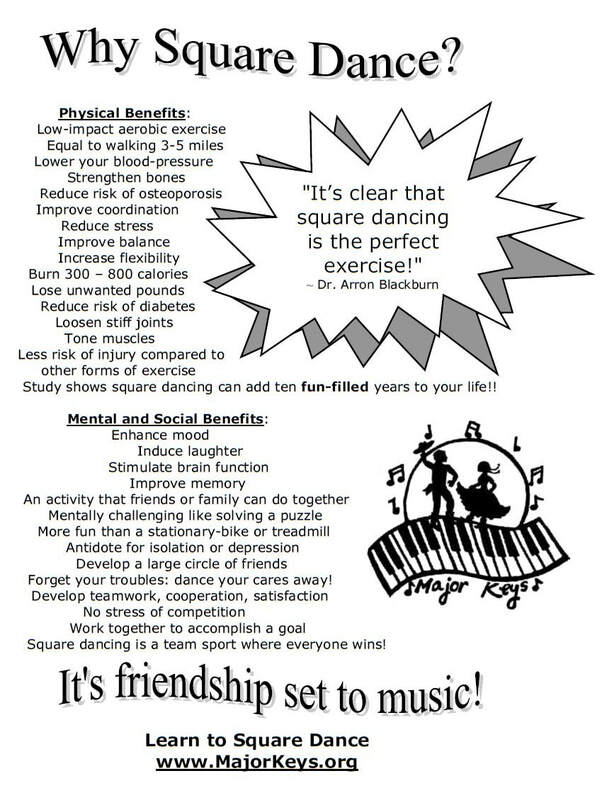 No partner required, we dance in groups and have extra dancers! great exercise for body & mind! Wear comfortable clothes and shoes, no special dance attire required. you will be laughing and having so much fun it won't matter! 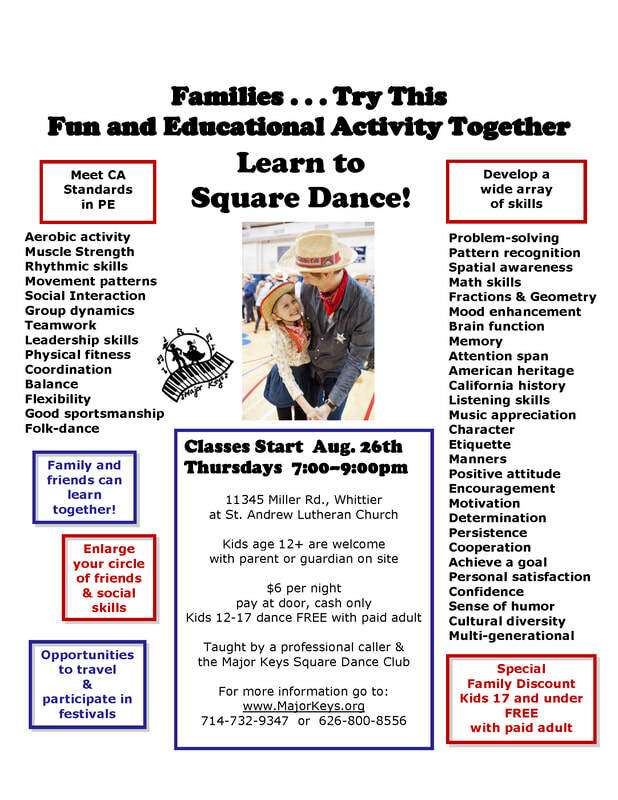 After all, it takes eight "left feet"
Here is an example of a beginner square dance lesson. ​The caller gives you step by step instructions! ​Next to Friends Park, beautiful indoor dance hall, plenty of parking!! A. 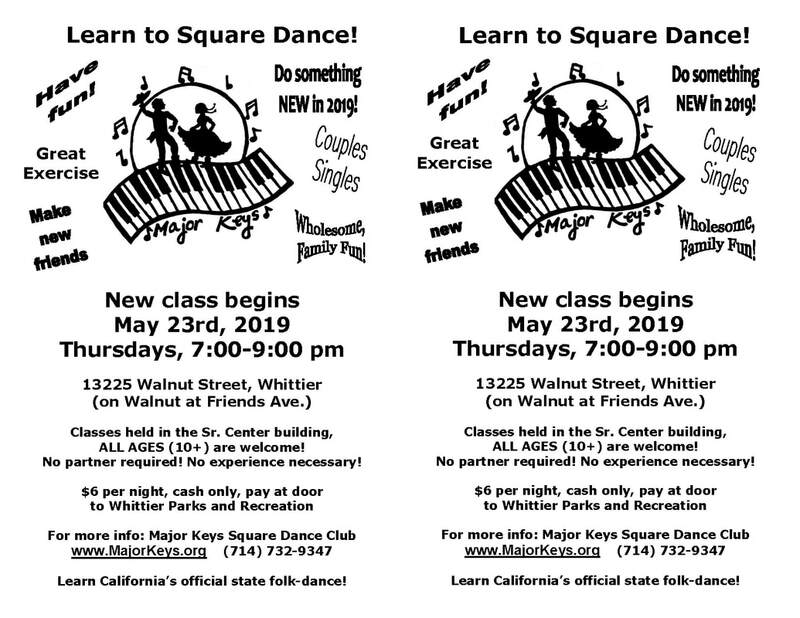 Our class stays open to new dancers for the first three weeks. After that you are welcome to come to the class and check it out. If you have some previous dance experience you still might be able to "catch up." If you decide it is too late to join the current class, please contact our club presidents, class coordinators, or publicity/web master and they will be glad to send you information about when our next class will start.